How do I integrate Shopify with AWeber? How can I set up or edit Abandoned Cart Emails? How Do I Offer Free Shipping Discount? How Can I Create Discount Coupons? Through integration with Shopify you'll be able to sell your products online, and have those customers added to your AWeber mailing lists. This is a great way to provide content to your customers based on a purchase, and start monetizing your email list. Note: Your store will need to be set up and live for the integration to connect. You will also be able to apply tags to your subscribers based on the purchase of a specific product through Zapier, allowing you to send more targeted content to customers within the same list. First, click on "My Apps" on the top right corner of your account. Then, scroll down and click on the Shopify app. If you're having trouble finding this URL, log into your Shopify account, then copy the first part of the URL (up to and including the ".myshopify.com") from your browser. Click Enable once you've entered the correct URL. 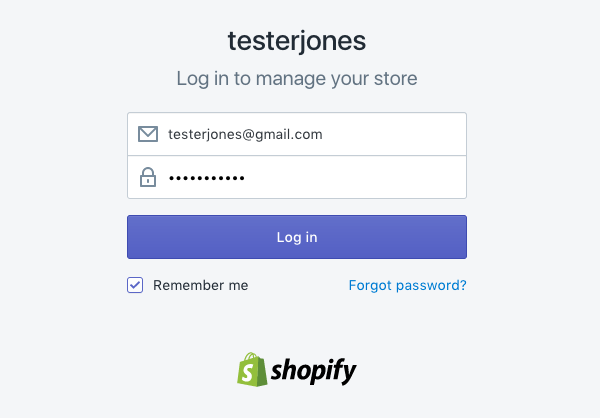 You'll now be redirected to your Shopify account, where you may be asked to log in. 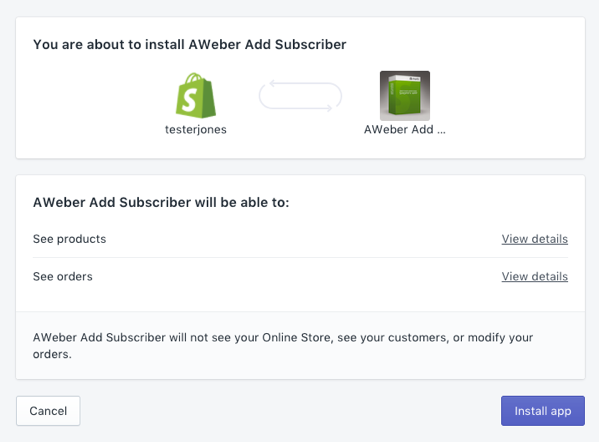 After logging in, you'll see a confirmation page asking you if you'd like to install the "AWeber Add Subscriber" app. Click Install to continue. At this point, you'll be sent back to your AWeber account. There you can choose which list your customers will be added to from the "Choose Your List" dropdown menu. And you're done! 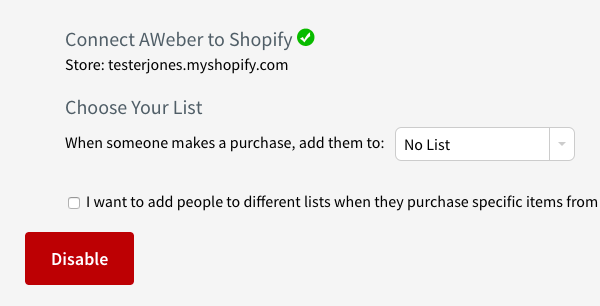 Your Shopify customers will now be automatically added to the list you've chosen. 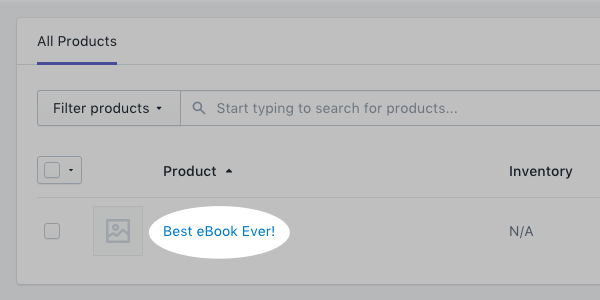 If you'd like to have people added to different lists based on the product they buy, just check the box below the "Choose Your List" section, then select the product in question and the list you want customers to join before clicking the "Add" button. With the Zapier Shopify app, you'll be able to tag subscribers who make a purchase of a specific product in your shop. Log into your Shopify account and select "Products" from the left hand menu options. Then, select the product you would like to tag. Once you've selected the correct product, scroll down to find "Tags" from the right hand menu options. You can see which tags are applied to this product. Or, add new tags in the available input field. Subscribers who make a purchase of this product will now be tagged in your AWeber list. 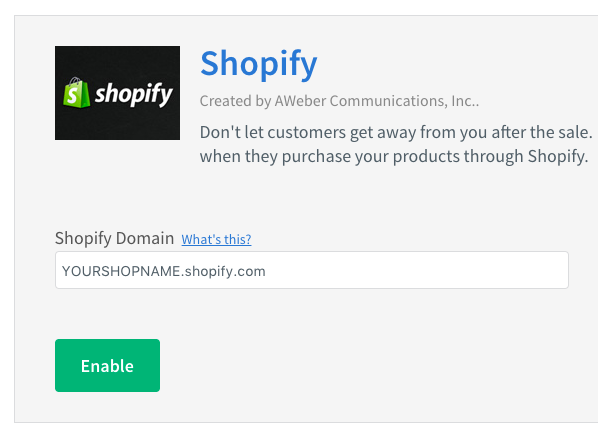 Only one Shopify account can be integrated with your AWeber account. 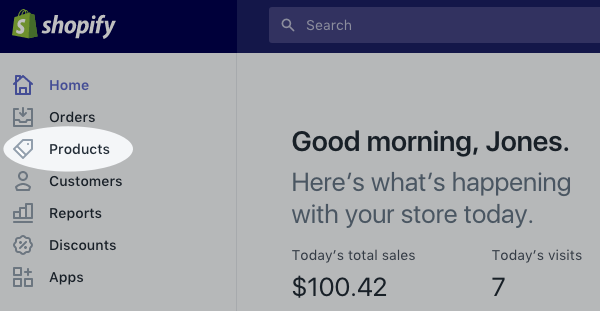 Shopify may take up to 2 hours to report new customers to your AWeber account, so do not be alarmed if you experience a delay in customers being added to your list.